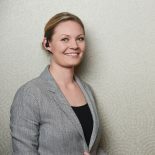 To celebrate the initiative, Rapport and ComXo are planning activities via the dedicated website, www.nationaltelephonistsday.com that is open to all. This includes a ‘What does the Future of Telephone Communication look like?’ competition and an onsite Bake Off competition with fantastic prizes to be won. The telephone has evolved and changed beyond recognition since Sir Alexander Graham Bells’ inaugural phone call over 140 years ago. What will telephone communication devises look like in 25 years’ time? Send your thoughts and ideas, with pictures or sketches to welcome@rapportservice.com for consideration. Greg Mace from Rapport will adjudicate this competition and some of the best entries will be uploaded to Facebook. Competition opens at 9am on Friday 8th March and closes at 5pm on Sunday 10th March. The winner will be announced on Wednesday 13th March and will receive a voucher for Afternoon Tea for Two. Create a telephone-themed celebration cake for National Telephonists’ Day. As well as looking good, your cake should taste good too! Use your imagination and tie in the NTD theme to come up with something creative! 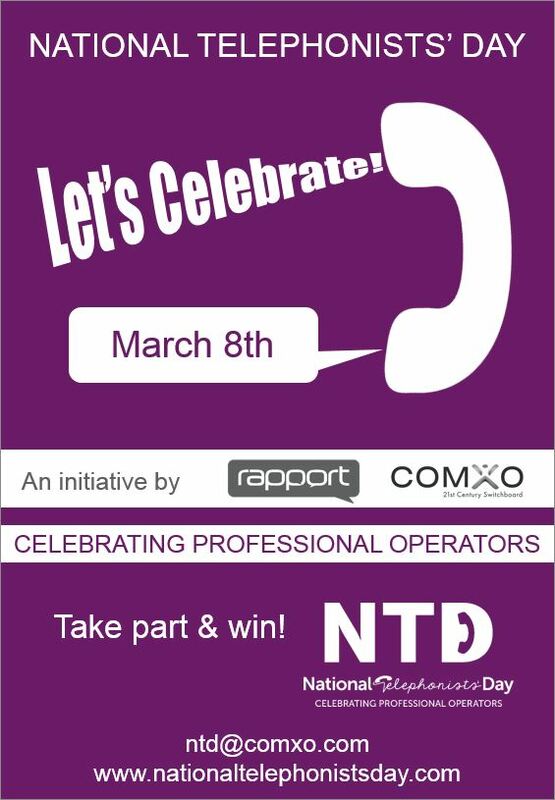 Please email images to ntd@comxo.com. Competition opens at 9am on Friday 8th March and closes at 5pm on Sunday 10th March. The winner will be announced on Tuesday 12th March by email, and will be sent a Green and Blacks Chocolate Lover’s Hamper! Secret Telephonist – Like secret santa but held in March! Place everyone’s name in a hat and ask your team to pick a name out. They then purchase a small gift for that person for them to open on the day. Telephone Quiz – How many songs can you name that are related to telephones? Challenge your teams to come up with the most songs! Ask other parts of your business to support your team on Facebook on the day. This will help to raise awareness for each other and create team spirit. Important Notice: HAVE A FANTASTIC DAY!